An argument between two vegans is not called a beef. Just two people with bad ‘tempehs’! 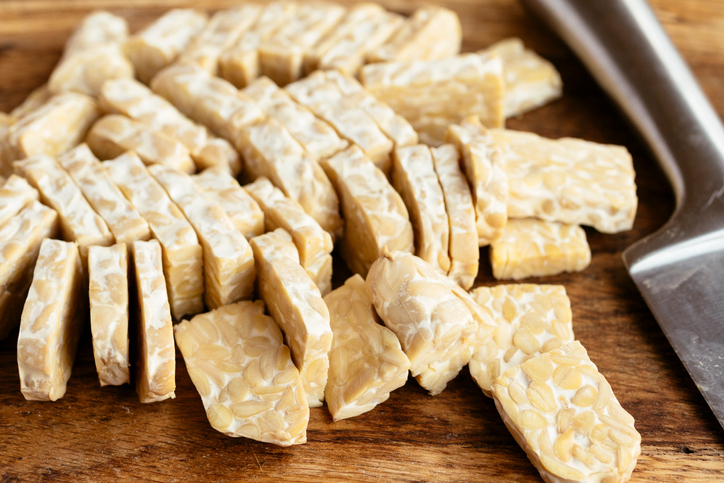 But all jokes aside, tempeh, which is made by fermenting whole beans such as soya, is a high-protein and fibre rich ingredient that is similar to tofu and great for adding protein and texture in dishes thanks to its meaty texture. 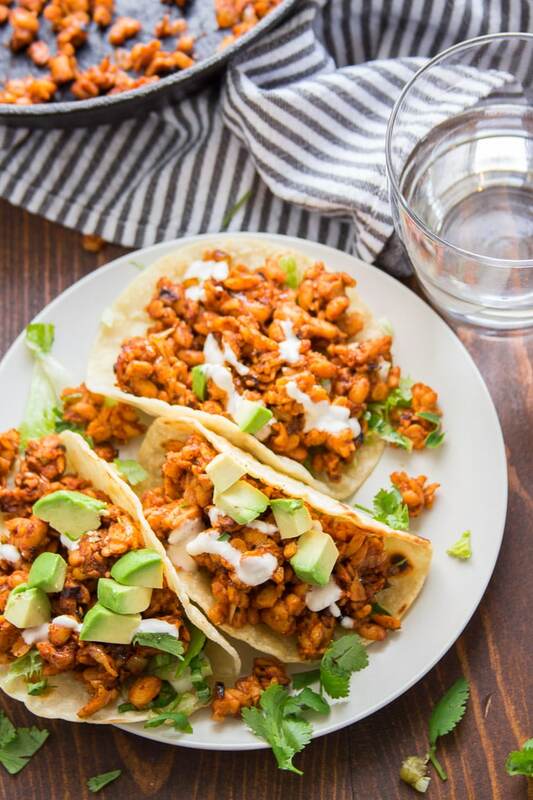 Here’s a delicious section of dishes you can make using tempeh. This kimchi fried rice is super hearty, spicy, mildly funky, protein-rich, and simple to prepare. 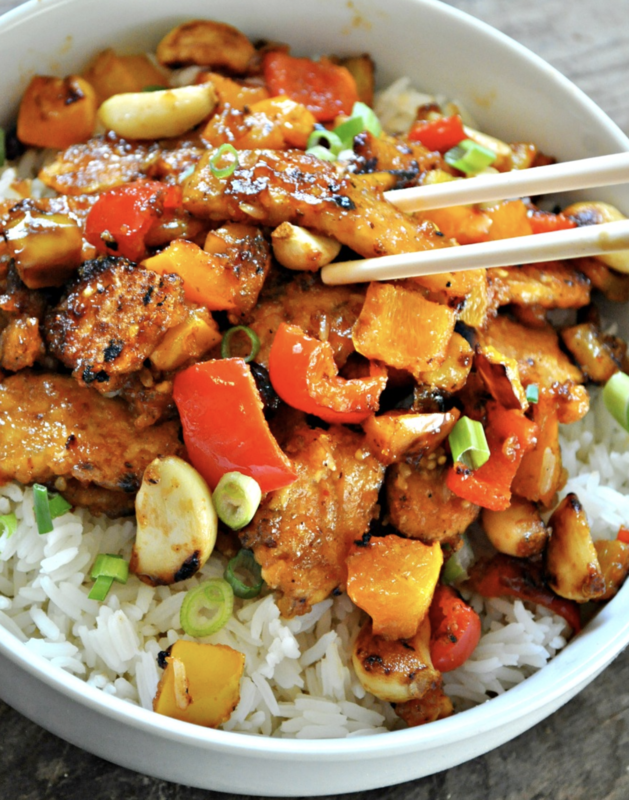 If you like your food with a kick then this one will be a hit! 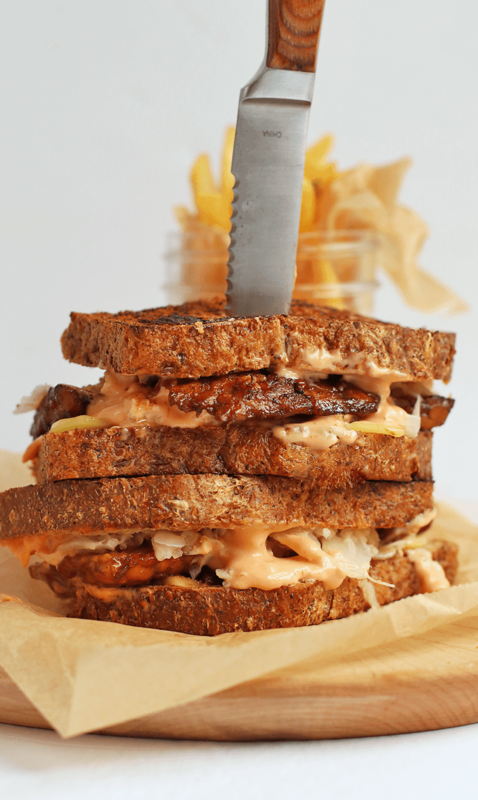 A tower of saucy, spicy, smoky, sauerkraut-filled goodness – what’s not to love about this epic vegan Reuben sandwich?! 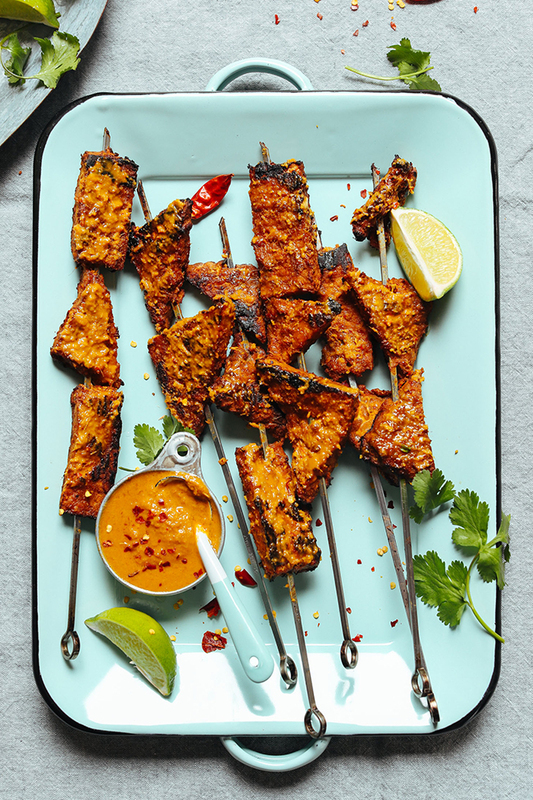 This tempeh satay is easy to make and perfect for adding to just about any noodle or salad dish. The combination of peanut and lemongrass will have you dreaming of tropical climes. 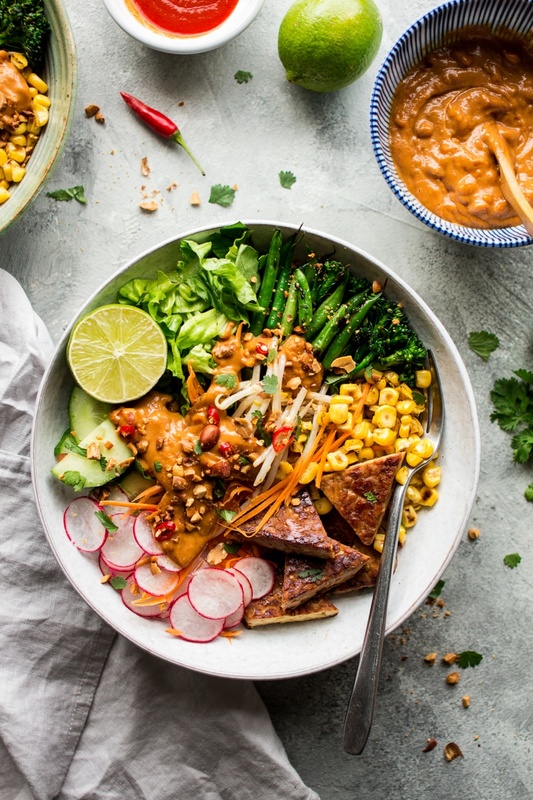 This vibrant bowl is brimming with a selection of raw and gently cooked veggies and satisfying chunks of gut-healthy tempeh smothered with lashings of an addictive peanut sauce. 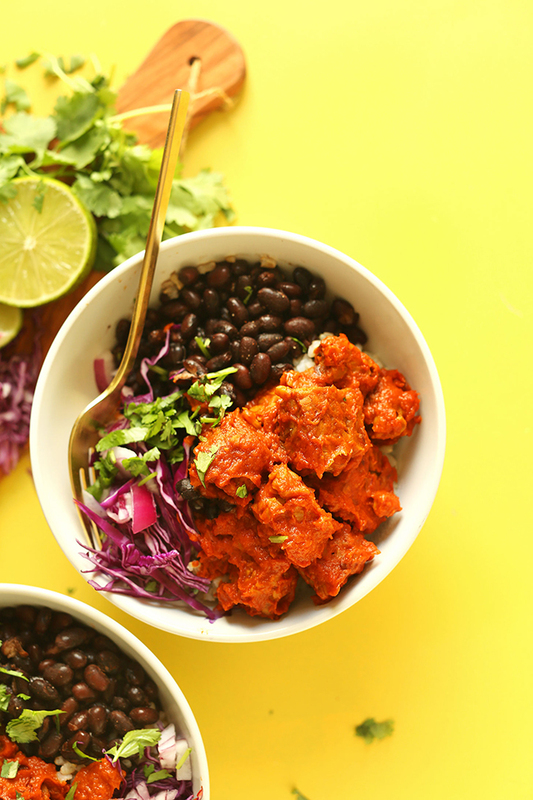 This burrito bowl would make a great weeknight meal when you’re craving something hearty and satisfying yet healthy. You can add any leftover bits and bobs to customise it to your own tastes. 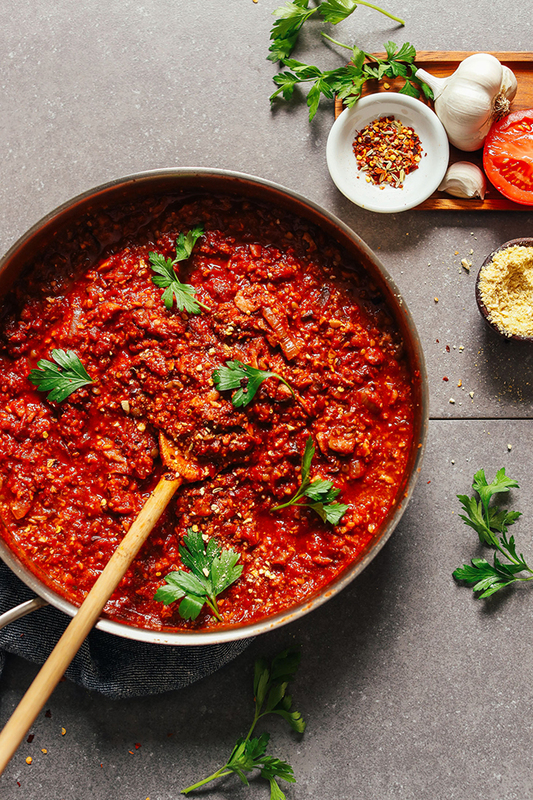 You only need one pan and 30 minutes to make this filling tempeh bolognese! A winner for those nights where you can be bothered to spend ages in the kitchen cooking and washing up. 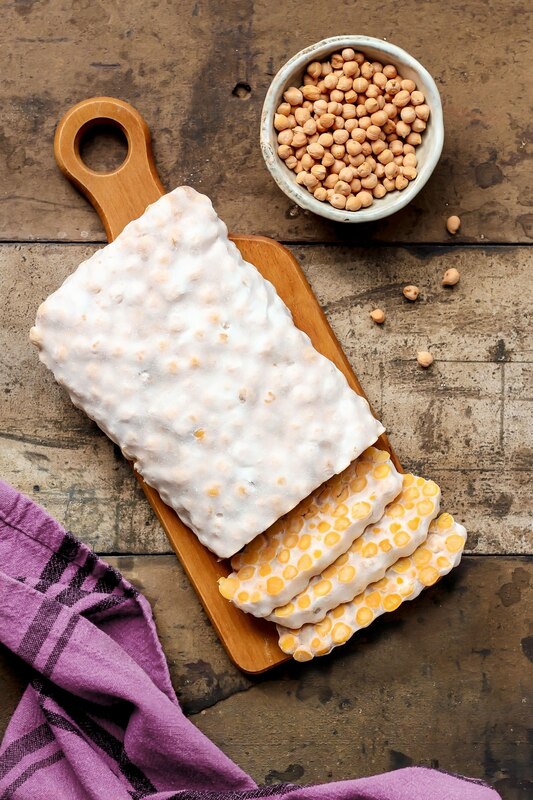 Tempeh is not the easiest product to find in supermarkets in the UK just yet, so if you want to try making your own at home, here’s a great recipe to try using chickpeas. You can find a recipe for black bean tempeh here. 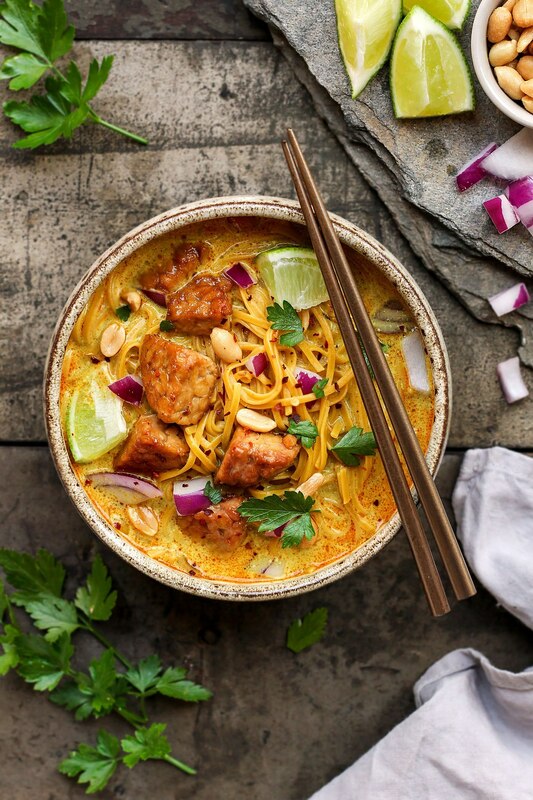 Khao Soi is a spicy Thai coconut curry soup served with noodles and tempeh. It’s super creamy thanks to the coconut milk, full of Thai flavours and simple to make. 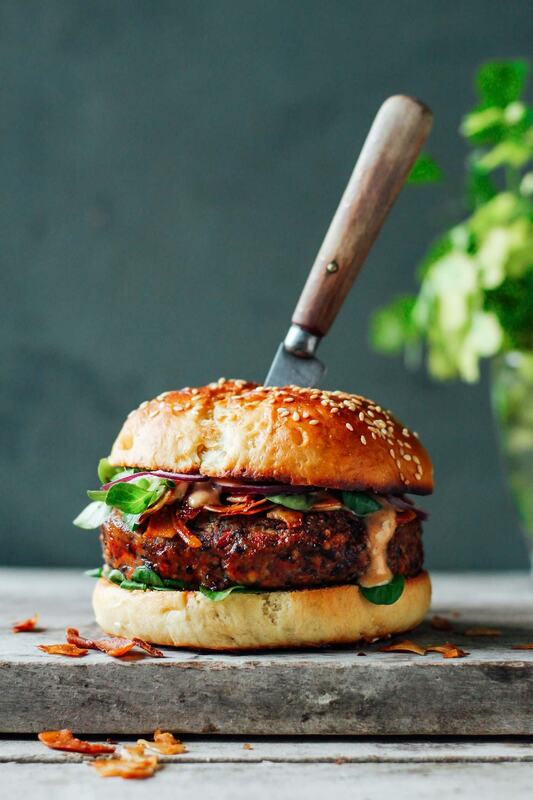 This tempeh and black bean burger glazed with a sweet and spicy sauce is incredibly moist and packed with textures and delicious flavours. It’s topped with crunchy coconut bacon and drizzled with creamy garlic smoked paprika sauce for an epic treat! 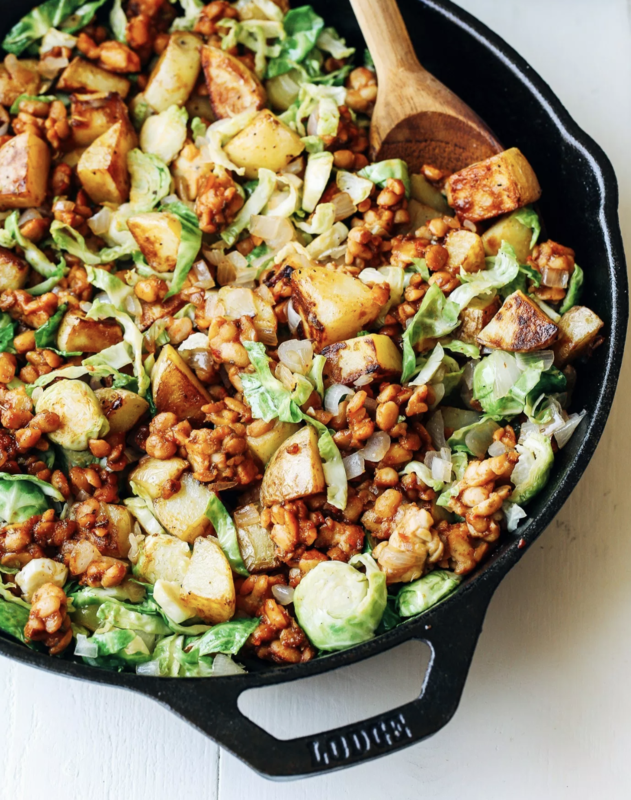 This protein-packed dish is a great way to start the day and will show anyone who thinks they don’t like Brussels sprouts how delicious they can be when cooked properly. This BLT is technically a TLT, but either way, it’s a delicious take on the traditional sandwich, without the cruelty! 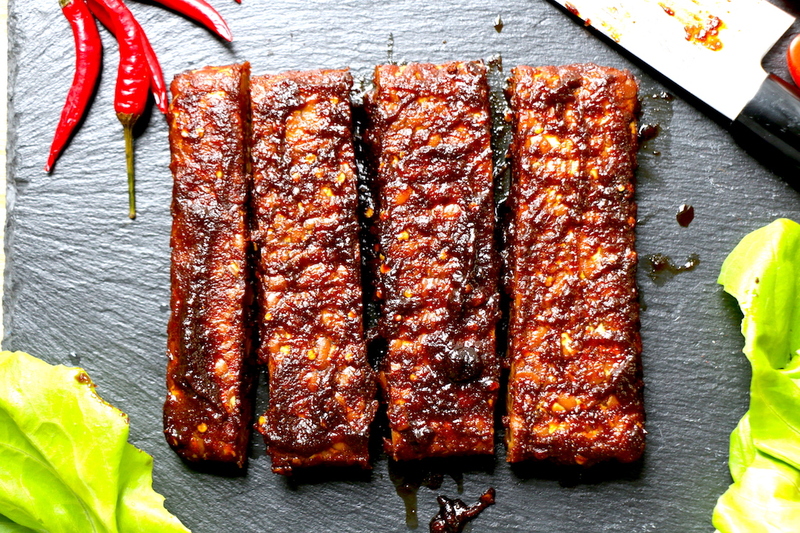 Serve your tempeh smothered in BBQ sauce if you want to replicate the taste, and to an extent the texture, of ribs at your next BBQ. 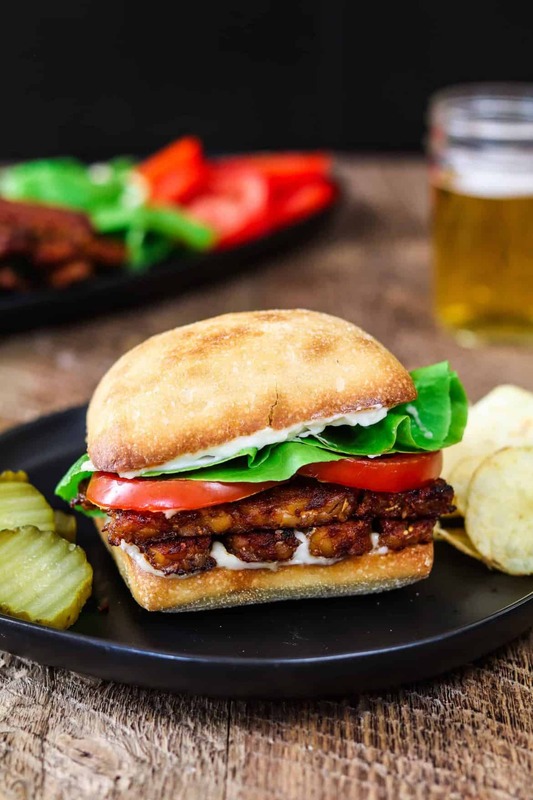 You can use this Tempeh BBQ to replace a hamburger patty and it’s also delicious in your salad! 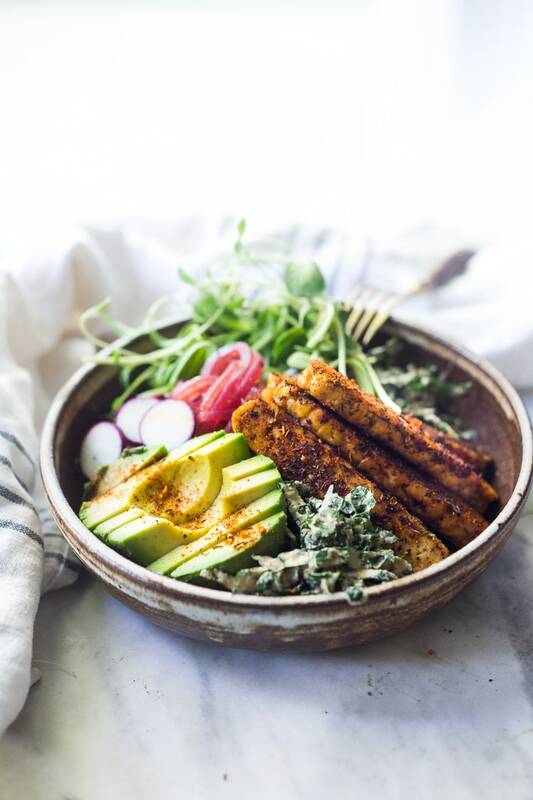 Blackened tempeh with avocado, kale, radishes, pickled onions and vegan ranch spiked with cajun spices combine to make one tasty bowl of goodness! 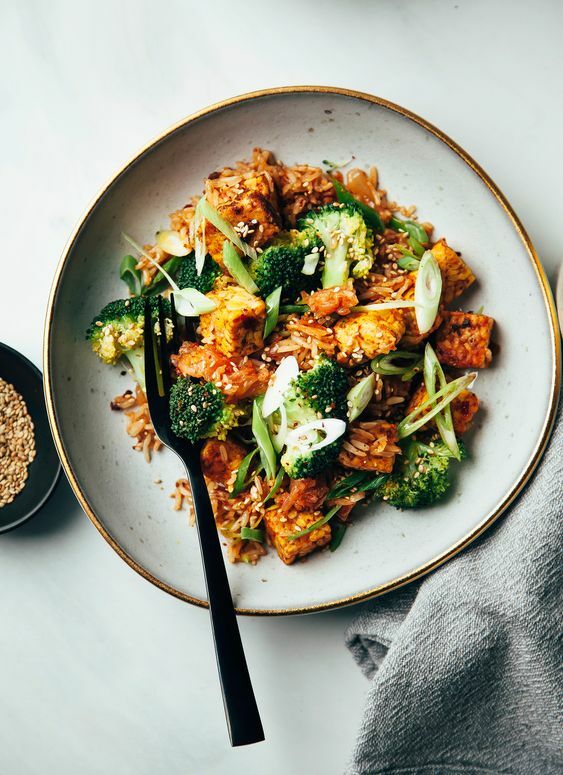 This copy-cat Panda Express Bejing tempeh dish is utterly delicious and so much healthier than the real thing! 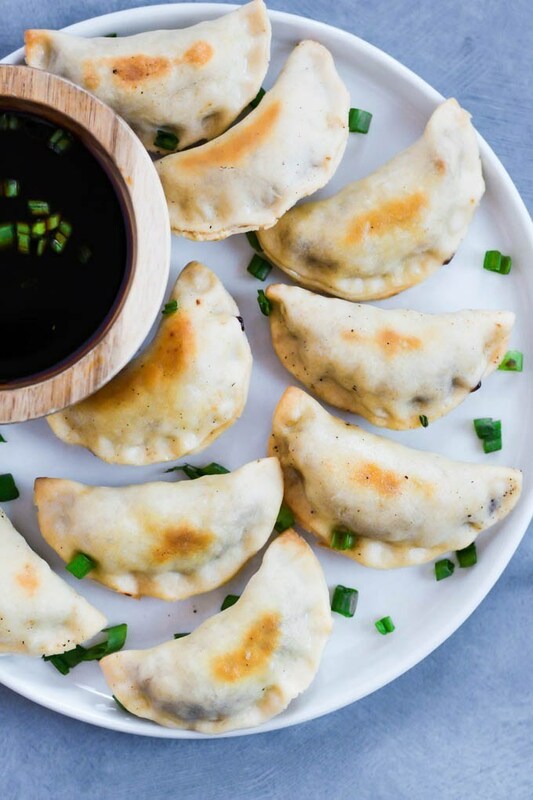 These Sticky Tempeh Potstickers are baked, not fried, and filled with a “meaty” mix of tempeh and vegetables. Serve as an entree or appetizer with soy sauce for dipping!